Cupcakes are a great dessert. Why? Because they are not only delicious, but they are also portion controlled. One is just enough to satisfy any sweet cravings you might have. I like my cupcakes warm, with a little Greek yogurt on top, and with a nice cup of tea or coffee. To me, that’s the perfect way to end a meal and also the day. 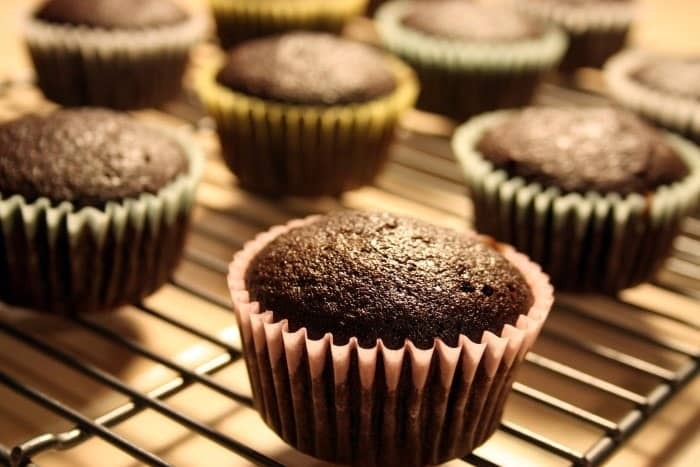 Of course, most store-bought cupcakes are made from wheat flour and contain gluten. They are also often made with other unhealthy ingredients such as trans fats. That’s why I make my own. After all, if you are going to have a treat, it might as well be a healthy treat, right? I like this recipe because it only makes four cupcakes. I don’t know about you, but I know if I make a dozen or more, I’m just more likely to eat them. I have no willpower when it comes to sweets! Mix all the dry ingredients together in one bowl and all the liquids in another bowl. Next, mix both sets of ingredients together with a whisk, until you have a smooth batter. Use a food processor or stick blender to make a smoother dough. Place in cupcake paper cups and then into a greased cupcake baking try. Bake for 18-20 minutes. Allow to cool, and sprinkle with powdered sugar. Serve, or store in an airtight container for up to a week. Don’t get stuck, more ideas to inspire your meals. Homemade food is the most important step of any diet. Embrace health, cook your own food. Find my gluten-recipes here.